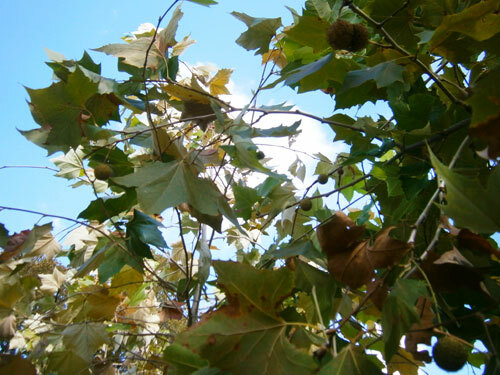 If you want some autumn leaves too, you'll like Mexican Sycamore, our Plant of the Month for October! They are a deciduous shade tree, with huge maple-like leaves. Around this time of year they start to turn shades of olive gold and brown from their normal green with silvery undersides. You'll also start to see attractive, round bumpy seed pods. It's not just the foliage that's attractive though, Mexican Sycamores are also prized for their smooth, silvery-gray bark. This fast growing shade tree tolerates poor soil and reflected heat. 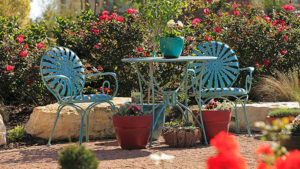 Although it is drought tolerant once established, it does best with deep hand watering in the summer. When planting Mexican Sycamore, give them plenty of room. Although they are smaller than their cousin the American Sycamore, they will still reach heights of 40 or 50 feet! Even with an upright shape, these trees will have a canopy about 30 feet across over time. 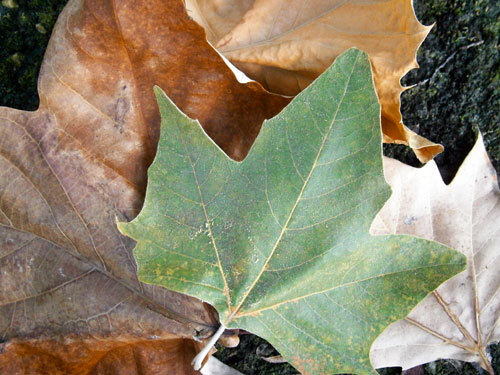 October is the perfect month to plant, come see our selection of Mexican Sycamores and other shade trees now at The Garden Center, before all of those autumn leaves are gone!